Create a stunning yet relaxing atmosphere with our high end vintage furniture. Create an atmosphere where exotic travels and luxurious lounges combine to create the most distinguished living rooms. Created by German designer Martin Ballendat, this flawless and beautiful collection is made in Austria. 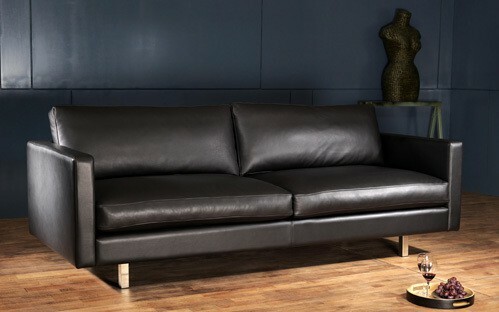 Made with real feathers and micro-ball fibers, these sofas are a testament to high end sofas and Scandinavian design. 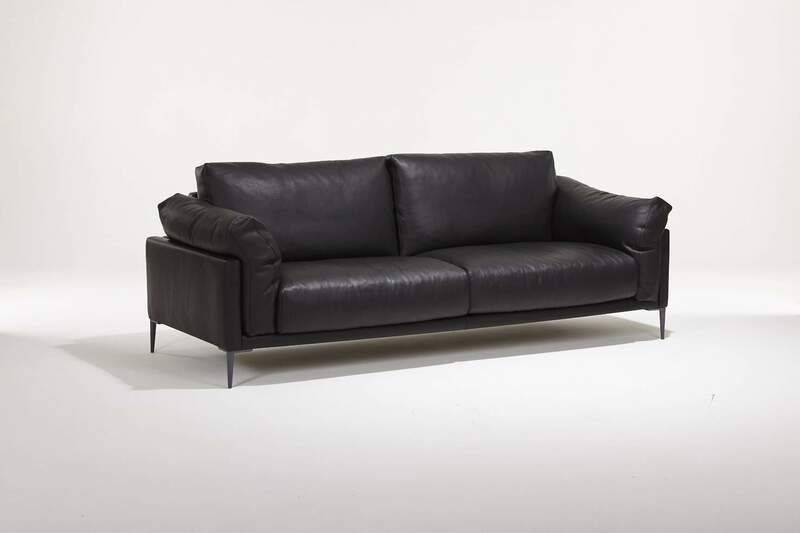 Our Danish leather sofas are made by a family-owned company that has been making sofas since 1955, including buy appointment to the Royal Danish Court. 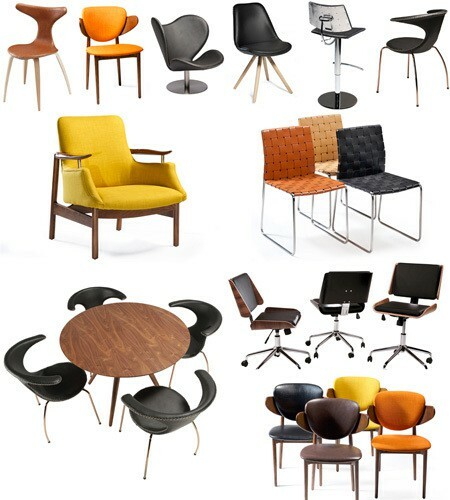 Original designs created in Denmark for the pleasure of all our Scandinavian design enthusiast clients. Audacious materials such as copper, corduroy and many more combined with authentic Scandinavian lines will ensure that your Danish furniture remains unique and exclusive forever. The Fettuccini armchair by Vladimir Kagan, a stunning design created by expert Italian craftsmen. A winning combination of aesthetics, high end materials (stainless steel and leather) and outstanding craftsmanship. Saber-toothed tiger motif over a walnut cabinet preciously decorated in gold-leaf lacquer. Sleek and functional by German designer Martin Ballendat. Made in Austria. State of the art mechanisms and components combined with sleek and contemporary designs guarantee that these sofa beds will be at ease in the most elegant settings. These Italian artisans in Murano, near Venice (Italy) are creating furniture made with the world famous Murano glass. The quality of these products has been sought for hundreds of years and is truly unique. All our furniture has been designed by award-winning designers and produced by the most accomplished furniture factories. Only the best and most sought-after components and raw materials are used in the production of our furniture collections. Italian aniline leather, Greek Volakas marble, Venice Murano crystal and many more exclusive materials are used such as bronze, walnut, copper, gold leaf, silk, etc. WHY CHOOSE OUR EXCLUSIVE DESIGNER FURNITURE? We strive to understand your needs, we will answer your queries immediately and we will be relentless in ensuring that your online furniture purchase is a perfect success. Ask to see our private collections and you will be amazed by the limitless choice of superb designer furniture. All your furniture ordered online will have been made to order based on your requirements. Choose among a wide variety of available fabrics, materials and dimensions. Make sure that your new furniture reflects your taste and fits in perfectly in your home. Our collections are made of original designer furniture made with the consent of the designer. Luxury furniture can only be made by the skilled craftsmen and outstanding furniture producers. We have selected the very best for you from all over Europe and beyond. When it comes to furnishing your home, we can help your most audacious ideas become reality. Only the best components are used in making our luxury furniture. Let us inspire you. Browse through our extensive online furniture collections and request access to our exclusive and private furniture catalogs. Put your ideas to the test by projecting them into your new living space. Measurements and current settings must be considered. As soon as your order is confirmed, the production of your furniture will commence at one of the best furniture factories in Europe and beyond. Imagine and design your own living space so that it ressembles you in every way. Your passion for beauty and craftsmanship should be reflected in each and every piece of furniture or decoration in your home. Do not settle for replicas or mainstream options, demand the best original designs and make your home an oasis of elegance and comfort. Choose not to have the same furniture as everyone else and make the choice of truly distinguished and unique furniture. Let your imagination become reality and choose furniture that truly reflects your image. Whatever the materials, shapes or styles, request our assistance and we will have incredible options for you to compose and build the perfect living space in your home. Browse through our designers' page and enter a world of exquisite and contemporary furniture. From the clear and delicate lines of Scandinavian designer furniture to Italian classical and contemporary furnishings, accessories and fittings, we offer you a world of exclusive options. Our network of exclusive and renowned furniture factories is the result of many years searching for the best furniture producers in Europe and beyond. Italian, Austrian, Danish and many more other highly acclaimed furniture producers collaborate with us to bring you this breathtaking array of luxury furnishings. Marble, silke, bronze and many other truly luxurious components and materials are used to manufacture the furniture you will discover on our website. These exclusive materials reflect our continuous search for unique and timeless masterpieces. Besides our online furniture collections, request access to our private collections and leave behind common and throw away Swedish retail furniture and take a leap beyond the options in every high street. Most of our options are not yet available elsewhere for private buyers or are cannot be found in your country. We will ship to your location and organize every step of the delivery to your home. 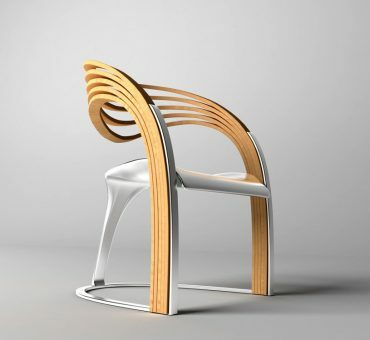 In our search for the most accomplished and aesthetically pleasing designs, we present the winner of Imagine Outlet's furniture design competition, Velichko Velikov. 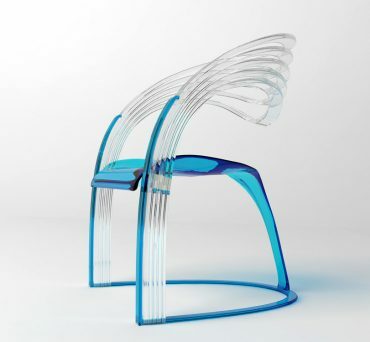 This beautiful chair is still only a virtual creation as it is currently under development and not available for purchase yet, however, it is without a doubt a true pleasure to contemplate Velichko's creation.